Biological systems are sustained by a complex communication network based on gradually varying concentrations or concentration gradients of signaling factors to which cells respond accordingly. Spatiotemporal concentration gradients are involved in many cellular processes such as development, inflammation, wound healing and cancer metastasis. Mimicking gradients in vitro is of particular interest of functional tissue engineering, which aims to recreate natural tissue structure and function. Since the same signaling factor can participate from different signaling events depending on where and when and at which concentration it is released, the accurate control of gradient properties is a key point when reproducing gradients in vitro to study cell response. For example, Sonic Hedgehog (Shh), a morphogen whose concentration gradients during development provide the positional information required for neural tissue patterning, also functions later as chemoattractant for navigating axons. Control over gradient properties will be subjected to the particular biological process that is to be emulated in vitro, but generally includes control on the gradient span, the range of gradient concentrations, the gradient slope, and gradient time-dynamics. Numerous in vitro methods for exposing cells to chemical concentration gradients have been developed either to create soluble continuous chemical gradients or surface bound (continuous or discrete) chemical gradients. The experimental data revealed an important contribution of the local concentration on cell response: cells were sensitive to tiny changes in minute concentrations of the extracellular signaling factors and several concentration thresholds have been elucidated by exposing cells to gradients. In order to produce sustained signaling effects, many of cell membrane receptors aggregate into clusters. It has been shown that this cooperative behavior can be reinforced by particular ligand dispositions at the nanoscale that can influence gradient perception not only at the global concentration level but also as a result of a particular ligand distribution at certain concentrations. 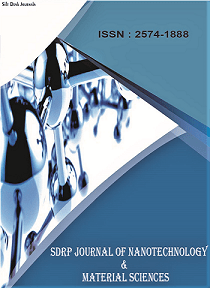 In this Research Topic, we wish to summarize and bring a general review of the most relevant contributions in chemical concentration gradient development for the study of cell behavior in vitro. We want to make special emphasis on those techniques that demonstrated a wider applicability, that are easy to implement in regular scientific laboratories and that allow a high control of the gradient properties and its quantitative characterization. We are also interested in those works that include theoretical explanation or modeling of gradient characteristics at the cell receptor level. Finally, the presentation of ongoing original works is greatly encouraged.